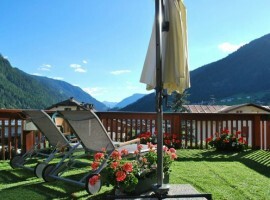 Here are some of the most eco-friendly hotels in the Alps in Italy and France for a green holiday without the car! From rustic and cozy huts to elegant hotels: choose the one that suits you and find out what is its commitment to our environment! 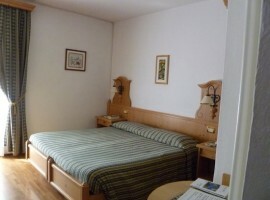 Beauty and Relax Hotel alle Alpi in Moena (Trentino – Italy), make yourself at home! 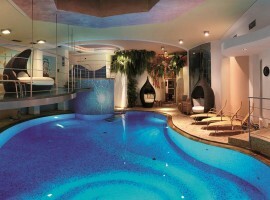 Enjoy and relax thanks to the sophisticated amenities of the hotel. 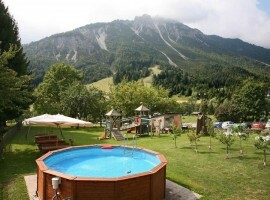 Surrounded by beautiful alpine scenery, it is the ideal place for an holiday in the nature. 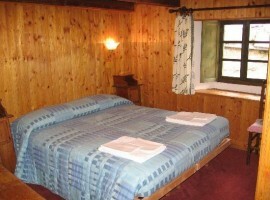 Cozy rooms, amazing cuisine and a large spa await you in this little alpine paradise! What is green: the hotel is accessible without the car and provides bicycle rental service. Electricity is produced 100% by renewable sources, with the use of saving-energy lights and motion sensors for the lights. In the rooms towels is on request and in the bathrooms you will not find single-dose disposable products. The kitchen uses organic and Km0 products. 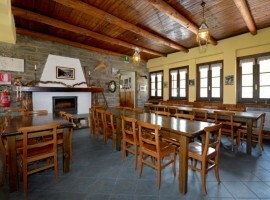 Hotel Restaurant Chalet del Lago – Ceresole Reale (Piedmont – Italy): an ancient residence in front of Ceresole Reale lake, a small hotel that will welcome you for romantic evenings and serene stays. Immersed in the Gran Paradiso National Park, surrounded by eagles and ibex, you can stroll along the trails or enjoy cross-country skiing or snowshoeing. 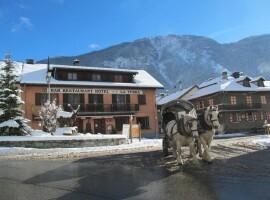 What is green: the hotel is perfectly accessible without cars and the owners are ready to provide guests with transfers in the country, encouraging the use of buses. 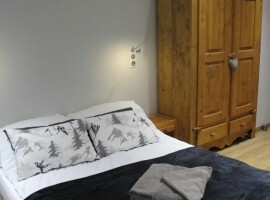 The furnishings of the room are eco-friendly and towel change service is available on request. The water is heated by using solar panels and not to waste it, all the taps have flow reducers. 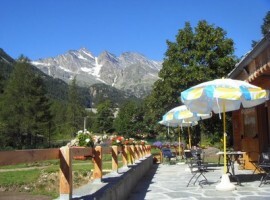 Camping Casa Bianca – Ceresole Reale (Piedmont – Italy). 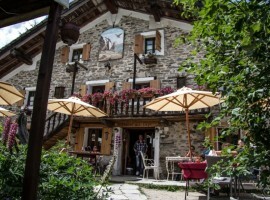 A modern camping surrounded by Gran Paradiso National Park, where you’ll find all the services you need to enjoy an holiday without worries, even with your pets! The surroundings offer many opportunities for outdoor activities in nature: from walking to climbing, from cross country skiing to ice skating, fun is guaranteed! What is green: a shower is eco if not last long: in 5 minutes you can consume up to 60 liters of water and energy! The Camping White House uses solar panels to heat the water used by our customers for everyday use. The panels are based on a very simple principle: take the heat from the sun and use it for heating and producing hot water that can reach up to 85 ° C in summer, well above the normal 40° C of a shower. For this reason, the use of the showers by the campers is free but in the case of non-sunny days both customers and the owners have to be thrifty in using water resources. 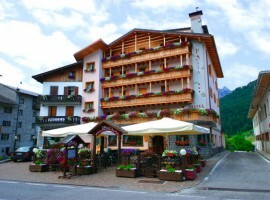 Hotel Posta – Forni di Sopra (Friuli Venezia Giulia – Italy). 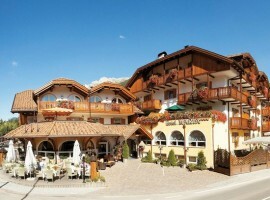 Surrounded by the magnificent Dolomites of Friuli, this hotel offers 38 comfortable furnished rooms in Alpine style, most with balconies overlooking the surrounding panorma. 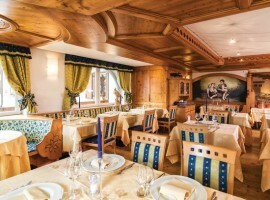 The restaurant offers both tasty Friuli cuisine and the national one, with particular attention to food intolerance of the guests. 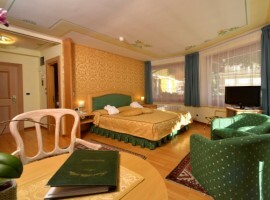 What is green: the hotel uses eco-friendly cleaning products and gives attention to separate waste collection. Solar panels are used to produce hot water, while, in order to save energy, you will find low consumption lights, appliances in energy class A and motion sensor lights. 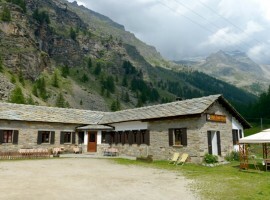 Welcome to Rifugio Guido Muzio, structure of the Italian Alpine Club in Ceresole Reale (Italy). 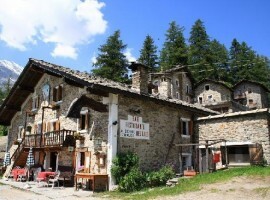 It is the perfect place if you want to live an experience of relax and sharing in a certified “slow” place in the oldest Italian national park. 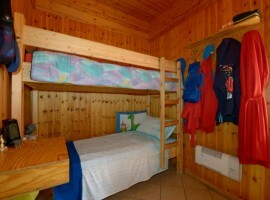 You will find small and cozy heated rooms, with bunk beds and tasty food from the tradition of Piedmont, such as salami and cheese, stuffed pasta and tagliatelle with game sauce and homemade cakes! What is green: the refuge offers a different experience from traditional tourism. The cuisine is at Km0 with typical dishes of the mountain territory. You can easily use public transport to move and go hiking in summer and in winter. 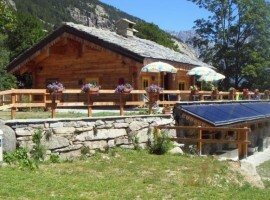 La Turra – Termignon (France): relaxation and escape in all seasons, in the heart of the Natural Park of the Vanoise. The hotel’s strategic position will allow you to easily explore the whole territory of the park and have fun in the large surrounding ski areas! What is green: the hotel is easily accessible by public transportation and offers typical cuisine from local organic products. 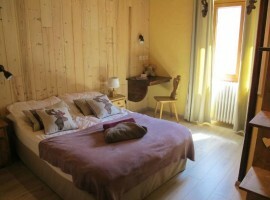 Among the eco-friendly hotels in Trentino (North Italy), the Hotel Maria – Moena (Italy), is in the heart of Val di Fassa, surrounded by beautiful alpine meadows and the peaks of the Dolomites. With snow you can ski in beautiful areas, in other seasons the outdoor activities you can do are really a lot! The hotel offers comfortable rooms with panoramic views, a stylish restaurant and spa, reserved for guests, with swimming pool, whirlpool and sauna. What is green: the hotel uses energy saving lights and toilet flushes in double mode. Great attention is given to separete waste collection. Guests who arrive by public transport can rent bicycles. 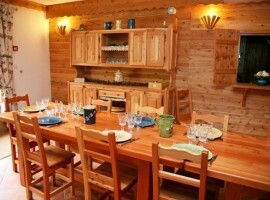 At the Chalet du Lys – Termignon (France) you will find rooms that smell of wood and attention to detail. 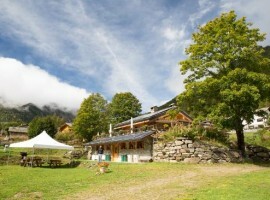 The hotel is located in Val Cenis, surrounded by the beautiful nature of the Nature Park de la Vanoise. The hotel’s sauna is waiting you for a moment of relaxation, while the kitchen is always ready to prepare excellent local dishes. What is green: you can reach the structure by train, leaving from Paris or Lyon. The building is constructed according to the principles of green building and uses solar panels to produce hot water. 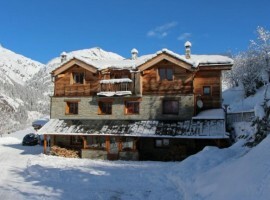 This entry was posted in green hotels and tagged Alpine Pearls, Alps, better world, car free holidays, Ceresole Reale, eco hotels, ecotourism, Forni di Sopra, France, Italy, Moena, Termignon, Trentino. Bookmark the permalink.